(IV) vitamin therapy is a method of administering vitamins and minerals directly into the bloodstream. Boost energy levels and stimulate the immune system, as well as helping with stress, jetlag and sleep problems. Feel Better, Heal Faster, & De-Stress. Improve your mood, skin & wellbeing with a vitamin shot. who attend to patients in a compassionate low-stress environment. Through a careful examination process, we seek to identify the pain generator for each patient, and provide effective treatments to reduce pain symptoms. Focusing on any muscle imbalances that occur through repetitive altered movement patterns or injuries. We are experts in not only recognizing and Identifying when the body is out of balance, corrective exercises and stretching to bring the body back to its natural anatomical posture creating a pain free body. REVIVE ME WHAT'S IV THERAPY? Your body converts it into NAD+, which fuels all of your cells. While NAD+ levels fall naturally with age, boosting NAD+ levels, reverse several signs of aging including restoring muscle and brain function, increasing energy and mood levels and reducing addictions to drugs and alcohol. over 2-3 hour slow infusion and monitoring frequent vital signs. over 3-4 hour slow infusion and monitoring frequent vital signs. A blend of IV fluids and electrolytes designed to help you rehydrate quickly after your workout ideal for anyone regardless of athletic level or training. Note: Your final formula and price may differ slightly subject to ingredient availability and treating physicians prescribed recommendations. Had too much to drink last night? This drip rehydrates your body, helps you flush out toxins, restores nutrients lost during a night of heavy drinking, and cleanses your system. 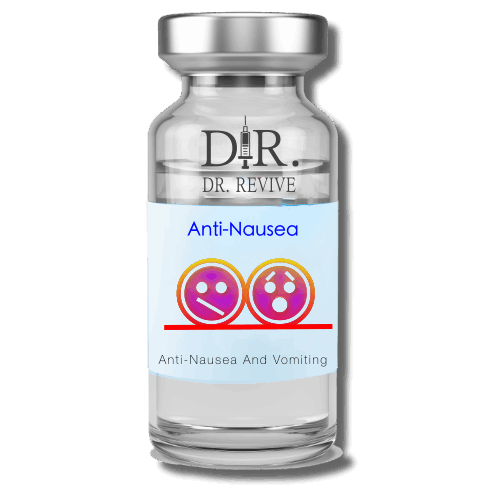 Our formula includes anti-nausea and anti-inflammatory medications to provide fast relief so you'll be back to feeling normal in no time. A Powerful IV drip of vitamins, minerals, and antioxidants to supercharge the system and enhance overall wellness. Dr. John Myers. The original pioneered since the late 50's Beneficial for many common symptoms, including fatigue, asthma, adrenal fatigue, allergies, muscle aches, chronic sinusitis, malabsorption issues, vitamin deficiencies, post-bariatric surgery, fibromyalgia, Lyme disease, viral infections or just overall wellness. “Myers’ cocktail” has been found to be effective against acute asthma attacks, migraines, fatigue (including chronic fatigue syndrome), fibromyalgia, acute muscle spasm, upper respiratory tract infections, chronic sinusitis, seasonal allergic rhinitis, cardiovascular disease, and other disorders. ​Perfect for someone looking to recover from Exercise Fatigue, General Exhaustion. For Hangover, Skin Complexion, Jet-Lag we recommend add-ons below. This 40-60 minute drip combines potent antioxidants and vitamins to aid in optimal liver detoxification to clear toxic buildup from the body while aiding in cellular repair. 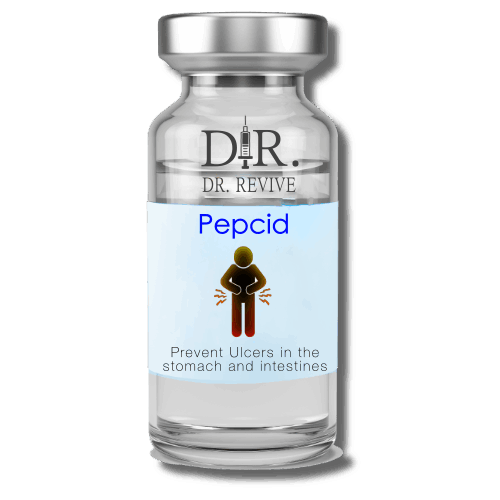 Assists with reducing inflammation, purifying cells, and to help kick start a new diet. Note: Your final formula and price may differ slightly subject to ingredient availability and treating physician's prescribed recommendations. while you’re pursuing your goals. to relieve your symptoms quickly. High-dose glutathione, biotin 100% vitamin and antioxidant absorption to keep your hair, skin, and nails looking pristine. that will improve symptoms and bring you fast relief. hospitals to treat serious cases of food poisoning. chills, abdominal and muscular pain, nausea, diarrhea, and prostration and in rare cases double vision. Rejuvenate your heart liver and brain. In chelation therapy, a dose of a medication called ethylenediaminetetraacetic acid (EDTA) is delivered into your bloodstream through an intravenous (IV) line. This medication seeks out and binds to minerals in your bloodstream that have built up in the body. Its proponents claim that this can rejuvenate the heart and blood vessels, improve liver and kidney function, increase blood flow to the brain, and more. Dr. Revive will help you customize your own IV to fit your needs. FOR $99 BUNDLE AND SAVE! Vitamin C, Vitamin D, Essential Amino Acid, Taurine, Calcium, L-Arginine, Lysine, Magnesium, Zinc and more! Not sure what to add? No problem! We're here to help you select the best option for your needs. 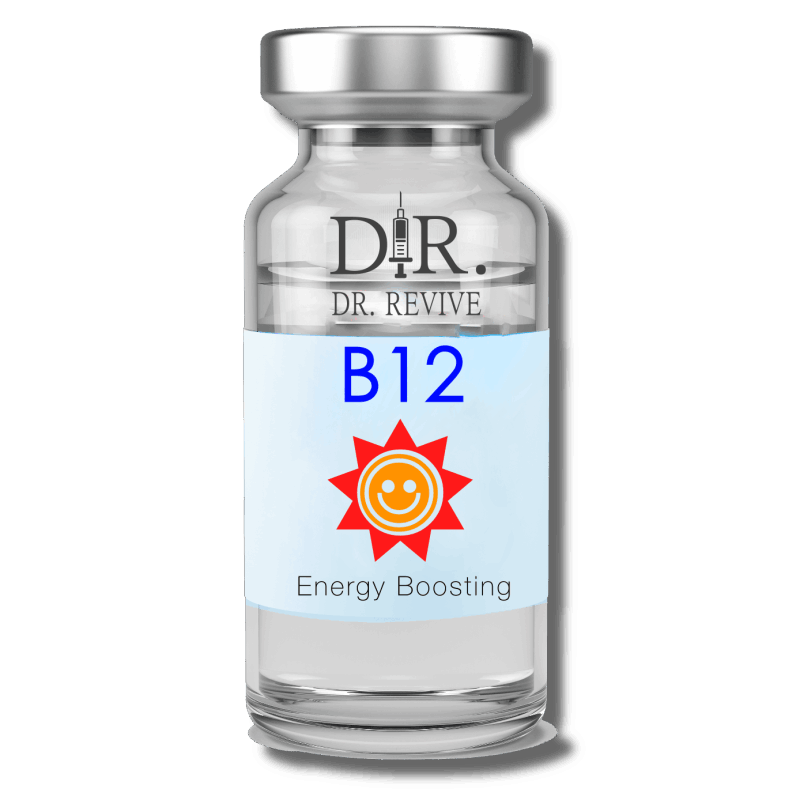 Vitamin B12, Glutathione, Vitamin C, B-Complex, B-6, and more! 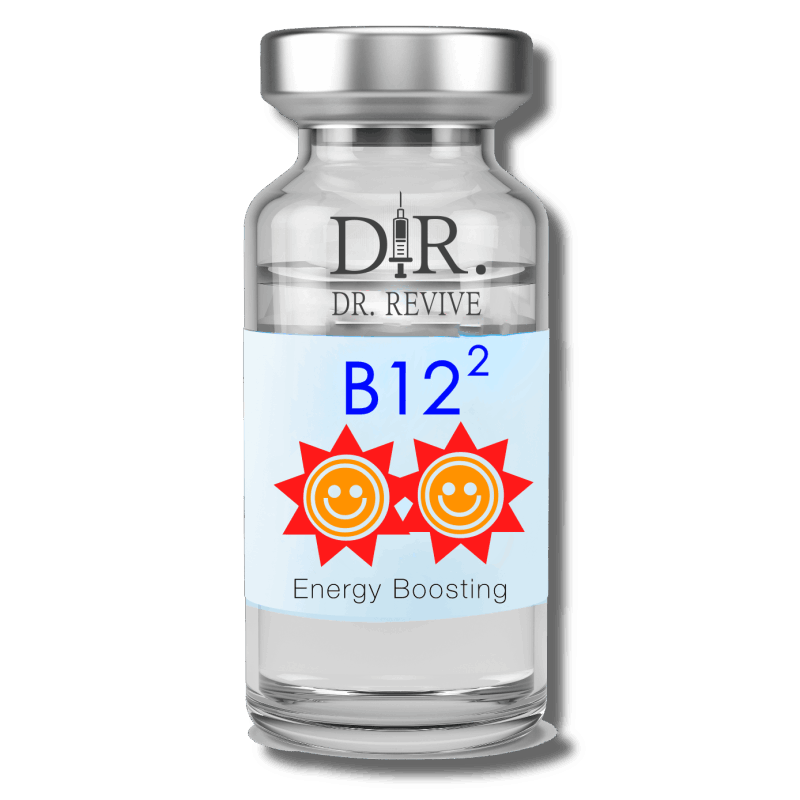 Vitamin B12 is also used for various health and wellness applications like boosting red blood cell production, and helping to regulate sleep, mood, and appetite cycles. 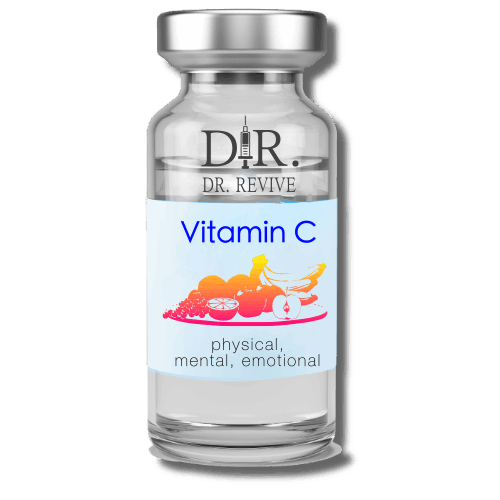 IM vitamin C have shown improvements in physical, mental, and emotional functions, symptoms of fatigue, nausea and vomiting, pain, and appetite loss. 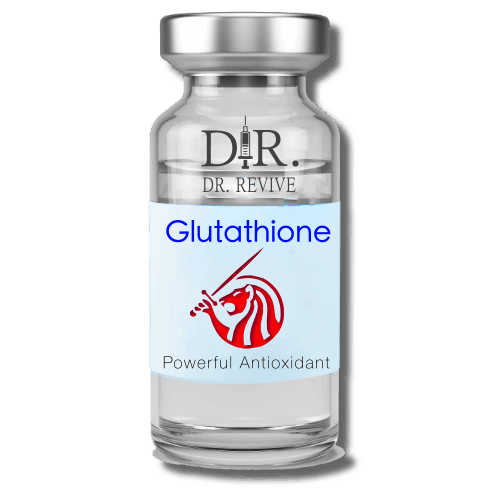 Glutathione is a powerful antioxidant that's made in the body's cells. Its levels decrease as a result of aging, stress, and toxin exposure. Boosting glutathione may provide many health benefits. B-complex supplements may relieve stress, boost cognitive performance and reduce symptoms of depression and anxiety, even in people without B vitamin deficiencies. This “anti-stress vitamin” is important for a healthy immune system, nervous system, and cardiovascular system. Lysine is a building block of many essential proteins that play important roles in building up immunity to fight diseases and increasing appetite and digestion. It also increases calcium absorption, builds muscle protein, and produces hormones, enzymes, & antibodies. Taurine Improve Heart Health, help reduce the risk of cardiovascular disease. ... Taurine may help reduce high blood pressure by decreasing the resistance to blood flow in the blood vessel walls. It may also minimize nerve impulses in the brain that cause blood pressure to increase. Nonsteroidal anti-inflammatory drugs (NSAIDs) are a drug class that reduce pain, decrease fever, prevent blood clots and, in higher doses, decrease inflammation. Decadron (dexamethasone) is a corticosteroid, similar to a natural hormone produced by the adrenal glands, used to treat arthritis, skin, blood, kidney, eye, thyroid, intestinal disorders, severe allergies, and asthma. (Nicotinamide riboside) Your body converts it into NAD+, which fuels all of your cells. While NAD+ levels fall naturally with age, boosting NAD+ levels, reverse several signs of aging including restoring muscle and brain function, increasing energy and mood levels and reducing addictions to drugs and alcohol. Get Thicker, Stronger Hair… The Natural Way. Restore and Grow Your Hair with PRP. 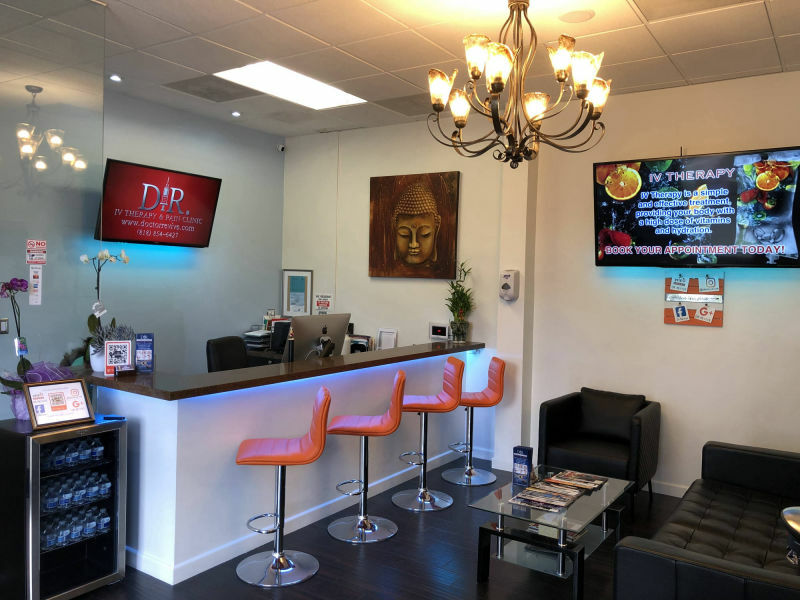 PRP Hair Restoration therapy is an all-natural and non-invasive procedure that has been found to stimulate the growth of hair and to reduce the effects of thinning. 1. A small amount of blood is drawn. 2. PRP (platelet-rich plasma) is separated from the blood. 3. PRP concentrate is extracted. 4. 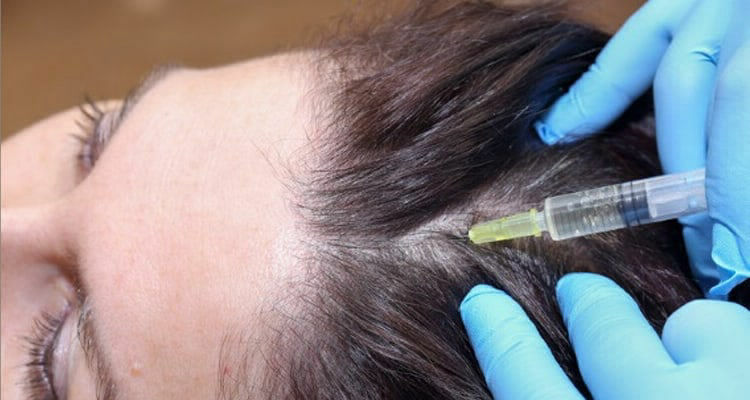 The concentrated PRP is injected painlessly into the scalp with a small needle. 5. The hair follicles are stimulated and grow stronger. Beneficial for many common symptoms, including fatigue, asthma, adrenal fatigue, allergies, muscle aches, chronic sinusitis, malabsorption issues, vitamin deficiencies, post-bariatric surgery, fibromyalgia, viral infections, upper respiratory tract infections, seasonal allergic rhinitis, cardiovascular disease, and other disorders. When a migraine strikes, it’s not only painful, it impacts all aspects of your life, But you don’t have to endure them while you’re pursuing your goals. Our Migraine relief is a natural and effective way to relieve your symptoms quickly. allowing him to have a strong understanding of patient’s injuries, pain and finding the most current effective and conservative. Dr. Revive is *the place* to go when you are having one of those days. Met cool people (other clients - so interesting to talk to) and the energy was amazing. Dr Mano is so slick with his hands (so much experience! )- why can't my yearly bloodwork be done by this man? I hesitated like "wait hold on!" and we was like "it's already done" - iv flowing. Neat and efficient. Fast forward and I'm leaving thinking "cool place" and then I realized my anxiety was gone. Went to my car kind of amazed that I couldn't even make myself stress on purpose. I slept well and woke up for work ready to slay. Next time I'm having a @&(?! day it's a no brainer. Came into Dr.Revive feeling sick and dehydrated. 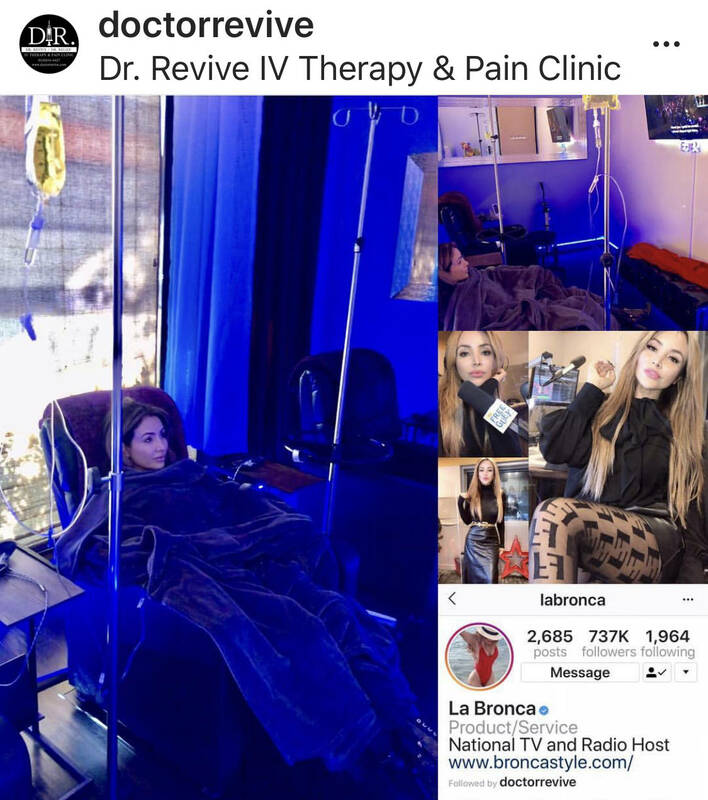 Olivia and Dr.Shanaa recommended getting the Immunity Iv Vitamin Therapy. Olivia the RN was so nice and full of energy. She was so gentle and informative when she placed the IV. Best nurse ever! Dr.Shanaa recommended getting a booster to get me back on my feet so we did a B-Complex booster. Thanks to this amazing team I feel so much better. Thank you so much Dr.Shanaa and Olivia, I cant wait to come back. Highly recommend coming into Dr.Revive!!! 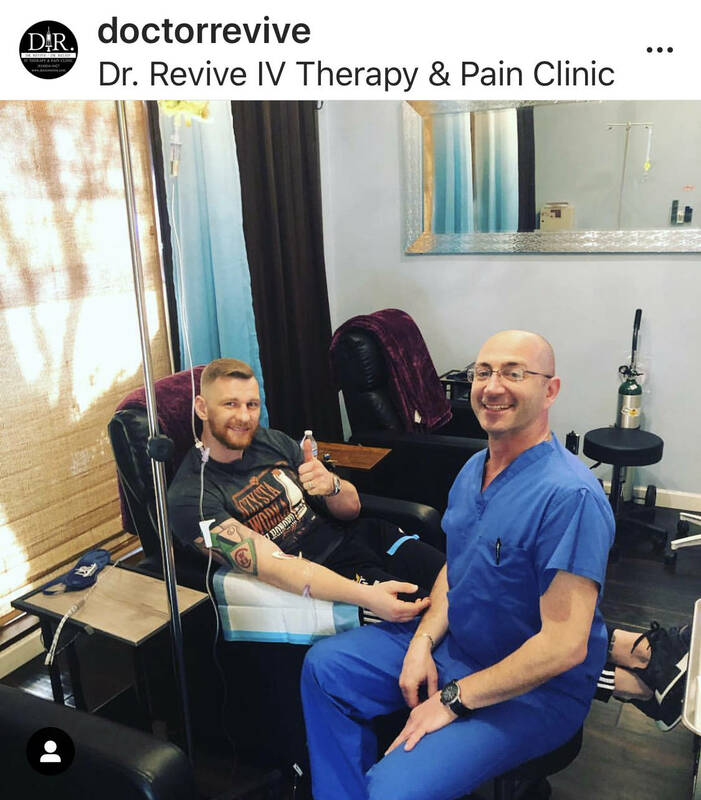 If you are looking for the best IV therapy services, stop by/make an appointment at Dr. Revive! There is a well respected, very informative MD on site as well as a fantastic staff ready to help you with your IV therapy needs! The location is immaculate, comfortable, and relaxing. 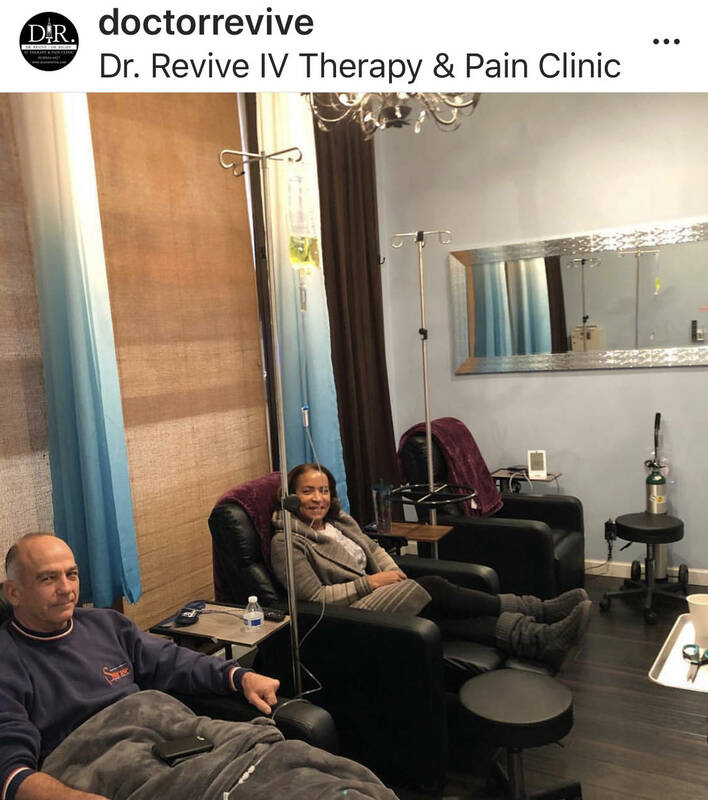 There are big screen smart TVs with comfortable chairs, blankets, plugs while you charge your phone or device... all while you are waiting for the IV drip service is completed. Easy to locate and easy to find parking. Looking forward to another session there! Just got back from vacation and due to some food poisoning abroad I didn't feel 100%. A quick search on Yelp led me here. I contacted them, and they quickly set up an appointment for me. Once I arrived the staff was polite and professional. They recommended a vitamin infusion and told me to let them know how I felt after to see if I needed any other supplements. The location is clean and Hi-Tech. I had a TV to watch a movie in while I waited for the infusion to finish. On my way out, I saw the Dr that runs the clinic and he was super funny and extremely nice. I look forward to utilizing them while I train for my next iron Man as the they also provide massage and other therapy options. Thumbs up from a 17 year ICU nurse. This place is amazing. My first time getting IV treatment and it was a great and safe experience. I choose the dydroboost with vitamin C.
I felt welcome right when I walked into this place. Everyone was kind and very professional. The place looks very clean and new. Dr. Revive did a great job with the iv stick everything went well. I felt safe during the treatment. They have private room for those who need and room for groups of three. The room have tv hang up on the wall, comfortable chairs , soft blankets , and a chargers your phone. I would definitely recommend this place to my friends and family. I will definitely come back for my second treatment. Parking is easy to find. Two hours parking on the street. They except cash and credit cards. 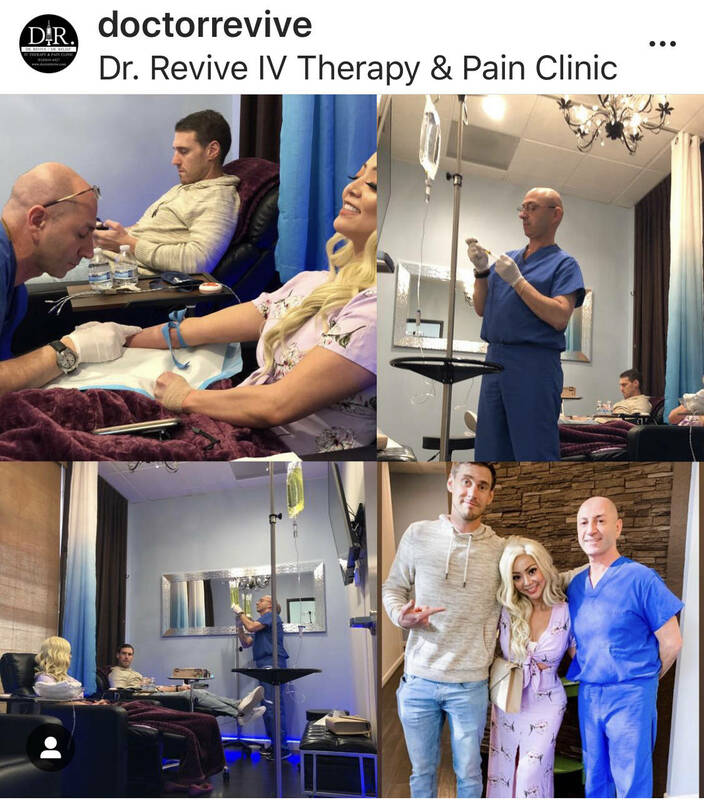 Thank you so much Dr.Revive and team , not only I feel better i had an amazing experience. Came to Dr. Revive with massive low back pain and need it to solve my daily challenges of moving around. I was welcomed by Dr. Shanaa in a very respectable passionate understanding way. Office is extremely clean and staff are very nice . Thank you for taking care of me and I will tell all my friends and family about your office . This was the absolute best intravenous therapy I have ever had! Don't even think about browsing other places because hands-down it was such a personal service I cannot even tell you how much better the quality of experience this place was. I believe that their prices are competitive but even if they are just a few extra dollars I have to say that it's worth it. You just need to experience it to believe me. A bunch of words on Yelp isn't going to convince you as much as actually being there believe me I have done a ton of these services and I am hooked specifically on this place due to the immense customer service and expertise experienced! Dr. Shanaa is soooo knowledgeable and my treatment was that of a first class ride on a luxury airline. Dr. Mano is the best. He is professional, clean, fast and efficient. It was my first time at a IV Bar, Dr. Mano know exactly what I need in my IV bag. Immediately after my IV I felt energized and very balanced. The prices are very reasonable. Very clean and comfortable facility. Scheduled a massage there today and boy was I impressed. From the time you walk in to the facility you feel warm, welcome and comfortable. The staff goes above and beyond in ensuring that you get the treatments that best suit you. My massage was amazing, Gary does a hell of a job in pinpointing any issues and working on those to your comfort level. Very professional deep tissue/sports massage treatment. I will definitely be back to try the IV therapy soon, every room has a television with Netflix; blankets and eye masks so you can find your comfort level and enjoy your session! Holiday party! Lol . Thanks Dr Revive ! Great ways for maintaining a healthy lifestyle at discounted prices! 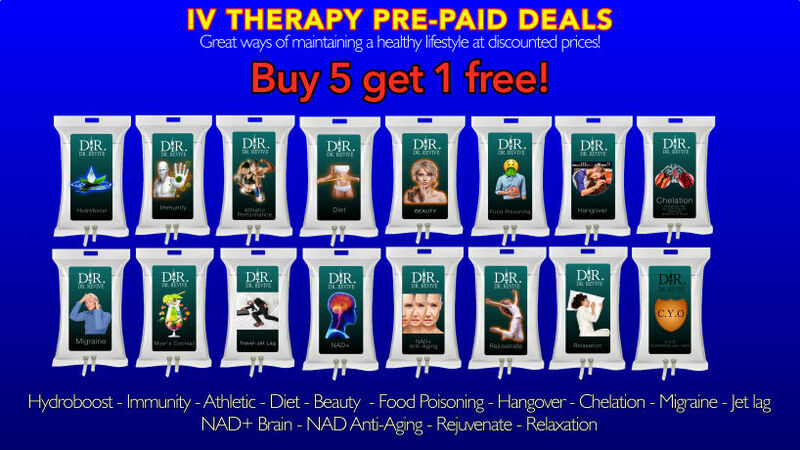 BUY 5 GET 1 FREE (Retail Price) Available for purchase at our clinic. Lose weight more effectively with a greater feeling of overall energy. Best gift you can give! Please send us your ideas, bug reports, suggestions! Any feedback would be appreciate.